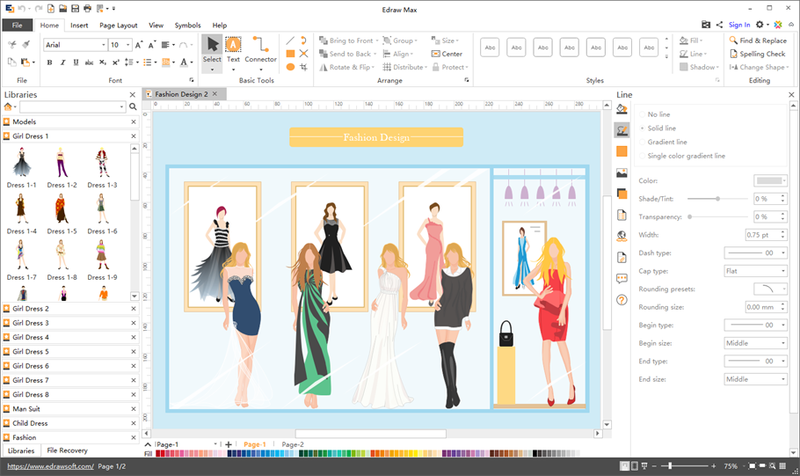 Edraw Max is one of the most popular dress designing software, which features simple but highly flexible tools, unique models with a variety of cloth items, makes dress design easier. 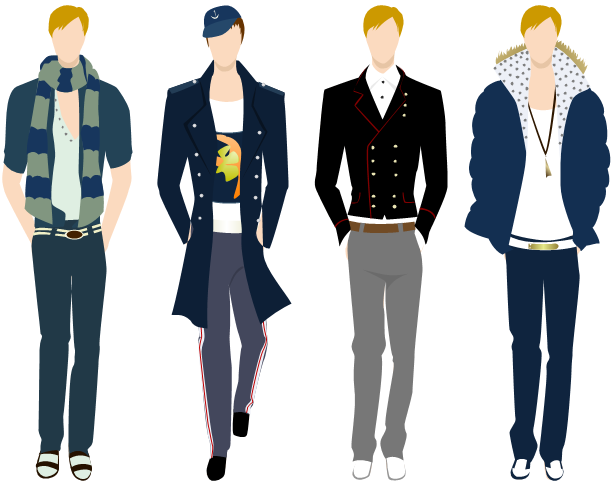 Trends come and go, but the fact remains that fashion is always an important aspect of our lives. 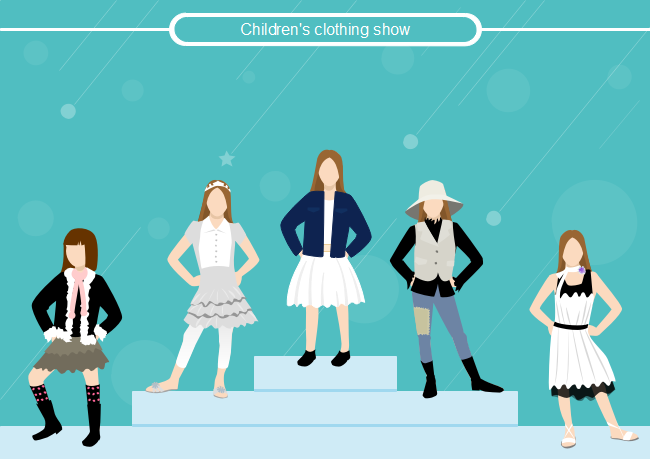 With an advanced Dress Design Software, designing fashionable dress on one's own becomes much easier for beginners. 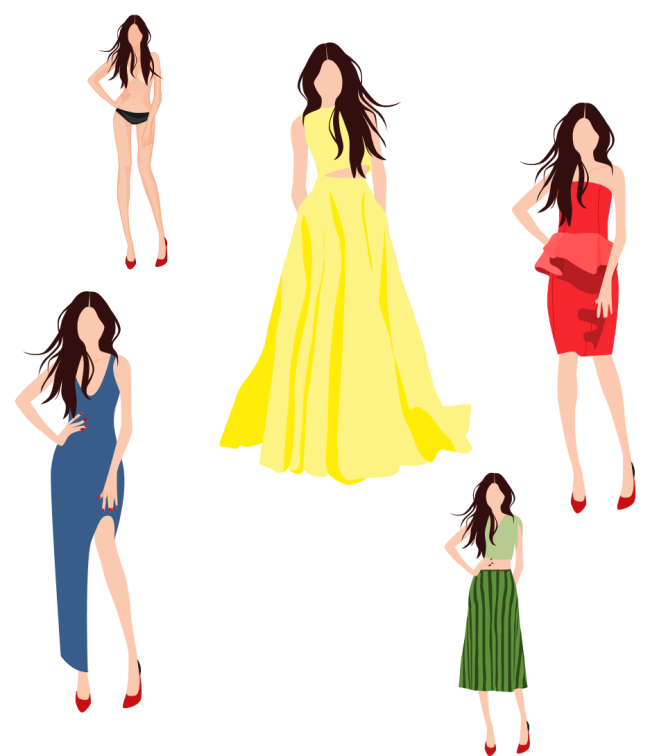 Edraw Max is a cross-platform Dress Design Program that works perfectly for both professional designers and amateurs, its built-in creative and compelling models and clothes offer great help in designing your new dress. With various popular drawing features and tool kits implemented in this software, you can draw any dress you want. 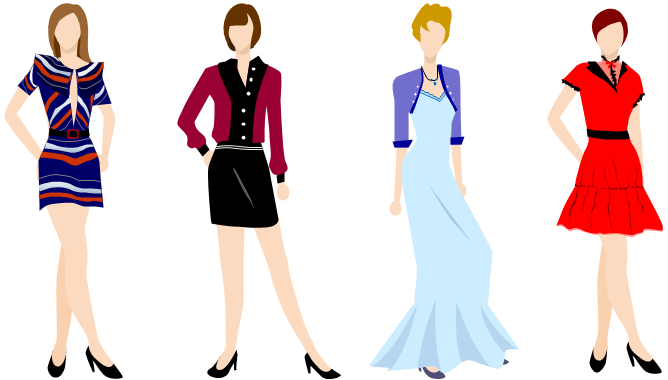 Built-in fashion symbols: design your own garments in the style that suits you even without drawing skill. Drag and drop user-friendly interface similar with MS Word: you'll be surprised as to how easy it is to operate Edraw.